So we’re doing a digital retrieval and recovery project of Brisbane Queensland artist-runs. 1980s, 1990s and since, and this year an insight into Brisbane’s nascent ARI impulse in the 1970s. I am an artist and worked on a number of artist-run collectives in Brisbane during the eighties, That Space, [Bureau] art space, F.Art, Axis Art Projects, Queensland Art Workers Union Qld, QAA Queensland Art Workers Alliance. We started the QAA back in the day. You may or may not remember. Yeah who did Arch Lane? That was David Holden and Belinda Gunn who you might remember. David has since gone into architecture and design. Yeah been doing it for you know like thirty years now. So and Belinda is prolific and prodigious here in Sydney on the North Shore making lots of textile works, installs, and painting with passion. Yeah. So and you’ve come up in conversation a lot over the last couple of years Steven in relation to Space Plenitude in particular. So generally what I’m doing is asking artists to do an email interview of about twenty questions. And/or write something depending on you know an artist’s inclination in relation to writing. Social Memory accounts allow a bit more time for reflection and are a bit more open ended. ARI Remix is funded by Arts Queensland, Australia Council we’re doing stage two so it’s 1980s, 1990s stories primarily and some focus on the 2000s and sort of now. 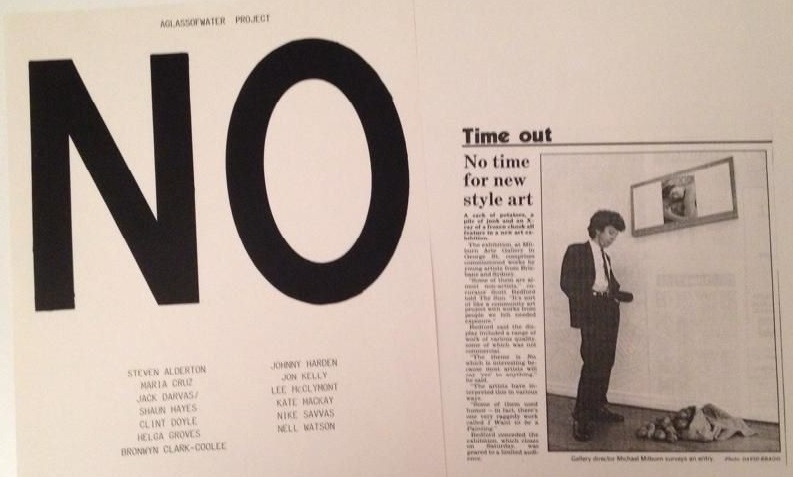 And I used to show at Michael Milburn + arte in the eighties which in turn became reactivated as Space Plenitude the artist-run space, and so I thought maybe the thing to do just if you let me know which spaces, which other projects and initiatives you’re involved in and then we can follow on? Yeah well you know was that thirty years ago or something or twenty five years ago or twenty or something is a long time ago. I guess for me I was volunteering at the IMA in second year at QCA which was ’89 I think. And then I kept volunteering and then at the end of the third year which was 1990 I had an exhibition, a very small solo exhibition there. And then eventually went on the board of the IMA and then went to work at the IMA. But I think I worked there about ’93 so in the end of 1990 like I had that show. I looked round at spaces to, looked around real estate. So at the end of, the early 1990s was a really bad kind of recession round the world and in Sydney and Brisbane and everywhere and so there was a lot of retail available. So as tough as it was out there it was good for artist run spaces because there was a lot of shops available for rent. And so somewhere in 1990, 91 I had a show at Milburn too. And Scott Redford curated it and artist Hiram To was in it and lots of other people were in it, it was called No. Elizabeth, yeah. Elizabeth yeah. So directly behind the Myers Centre across the road one flight up, I opened some studios probably about ten studios and a very small gallery about this size, thirty square metres, twenty square metres. And we called that space Bland People Die. Yeah. And that was an afternoon when Scott and I were saying we’ll just…so Scott kindly provided a lot of advice you know what to do and things like that with starting an artist-run. And so I filled all the studios pretty quickly. There’s a lot of people waiting to rent space and we had a few shows in there and I remember one artist who would only work late at night because he would never pay his rent. So he wasn’t there during the day when we were there he’d come very late at night. And so it became very quickly apparent that that space was too small. So then I looked around on the other side of Queen Street. Is that Adelaide Street? I think it’s Adelaide Street, it’s Adelaide Street yeah. And opposite the little city council kind of ….. I don’t know kind of mall-y thing, very small thing, upstairs one flight of stairs, the bookshop downstairs. Walk up the stairs one flight of stairs and big vacant space. I rented that and next to me was a comic shop. And above that was a ballet dance school and I was paying about six hundred dollars a month rent there. And it would have been about three hundred square metres it was quite big. And it had a loading dock out the back and I got great photos of that space, how we did performance outside and people …kind of performance installation sculpture where they’ve suspended themselves. And then inside and so we did..and it had a little room then a big space so we did a lot of shows there. And then after about I don’t know and I kept the other studio going. And then after about a year or so unfortunately commercial gallery Michael Milburn passed away which was very sudden and sad. And also at art college we were going to all the galleries including Milburn and he was, oh did he pass away or did he move? No he moved before he passed away. So he moved up to MOCA James Baker’s place in South Brisbane so he was downstairs there. So when he moved up there, he was there for a few years and then he passed away up there. So he left his space on was it George Street? Essentially next door upstairs from McDonalds there and so I took that space. And left Adelaide Street and left Elizabeth Street and concentrated on that one. And we did a lot of shows there, Space Plenitude and we even did events out in the backyard. Up three flights and the stairs were condemned and it was very hair raising back there and we did a lot of exhibitions. So I could run two to four exhibitions at the same time. There was one, two, two small spaces downstairs and one large one upstairs and a stockroom and an office. And we did a lot of events as well. So it was you know ’92 or ’93 somewhere in there and that kind of dance party world had started. So for a short time we had an overlap between George Street and Adelaide Street. We were doing events in Adelaide Street as well and then over to George Street we were working with these guys that did these dance parties. And like they’d tell the patrons it’s here and there on the day and you’d turn up and it would be three events and it would be going till seven in the morning, nine in the morning. And I did three industrial music events there which you know were very full on. And so I guess what I’m saying is we did visual arts and contemporary culture. And there’s a lot of people interested and then when I finished then (Galerie) Brutal had moved out and ISN’T had moved in and I knew artists Christine Ploetz and Rod Bunter. Actually Rod and I shared a painting studio at Queensland College of Art. Like Rod and I had half the studio and the other eight people had the other half. And it was always for me, you know it was always, everything was always a struggle. So I had a job at Cinema Café in the evenings seven days a week so I could pay the rent. And in George Street the landlord would have walked in at least five times switched the lights off and said “You’re out, get out”. And I said “Oh just give me an extra day”. And so as much as artists will say it’s expensive to show an arts run you know I was subsidising those exhibitions by working at Cinema Café and seven nights a week. And that was relentless. I’d come home at one o’clock, some days I would park my car in the front yard of my mum’s place because I couldn’t afford to live anywhere else and fall asleep in the car because I didn’t have the energy to get up the stairs. Some days I’d fall asleep at the gallery because you’d just be so tired. But it was really and talking to students here, you know for me what you do when you graduate art school you either start an artist’s run or you be involved in an artist’s run. Give yourself a context, a forum, not just to show your work but to talk about other people’s work and your work. Put talks on, music like there’s a lot of things and to contextualise your practice. I was very conscious that I didn’t want to show at Space Plenitude I didn’t want it to be about that. It wasn’t about me putting on a show. So I had a lot of shows at Galerie Brutal in ‘89/’90 and then I had a couple of shows at ISN’T as well. So it kind of morphed from Bland People Die and then we had Space Plenitude I called it North and the other one I called From Art Unit which my, I’m quarter Chinese. So when we moved from New Zealand to Brisbane we stayed with my mum’s family which are all Chinese, my great grandmother, nanna, mother, aunty, us , four kids, my mum, my cousin Andrew and my Uncle Chris all in one house. So Chinese culture was large in our life. And my great grandmother and my nanna were very supportive so I thought I’d call it after them. And at the same time Home Co was curating a show called Here not There which went to Umbrella Studio an artist-run space in Townsville. Which kind of was a quasi arts run because they got state funding so we did a lot of stuff with artist-runs so I sent a show to Umbrella; Out of Space Plenitude. I also took a show to Umbrella Studio for IMA and also ‘Here Not There’ went up there from the IMA as well and that was about Asian artists living and working in Brisbane and Sydney. So I don’t know I would have had over 100 shows at Space Plenitude over the years, lots of artists in residence, supporting a lot of artists. And interestingly for me when the farm started in I don’t know when, 2006 or something or 2008 somewhere around there, that was like three doors down from Milburn and where I used to be. So I’d go to their openings and look up at their windows and think you know that used to be us up there. But I think there’s a really vibrant artist-run culture in Brisbane. Which I’m pleased to be part of and then a move into the IMA which is part of that too. You know that space, I was very young when that space was on you know 16 or 17 or 18 or somewhere around there. And I remember going to Arch Lane Public Art a lot and Galerie Brutal a lot and it’s just part of your every day. And you know what we’re doing here in Sydney right now it’s very hard, the real estate is really expensive here in Sydney. Five hundred dollars a week doesn’t get you anything. So unfortunately you know I hope it doesn’t come that we have to formalise artist-run spaces to make them affordable. 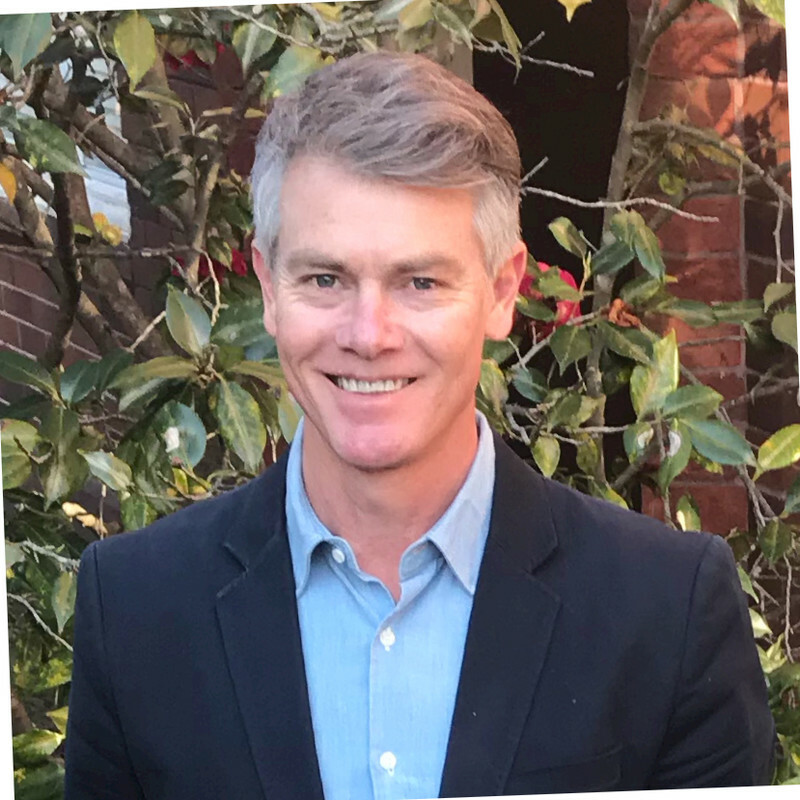 That places like us (at the National Art School in Darlinghurst) or bigger galleries invest in artist-runs, if it comes to that it comes to that and that has to happen. But really needs to be emerging artists, really giving it a red hot go, making mistakes, doing really bad shows, doing really good shows but learning through the process. I did a show called 491 one year and one of my lecturers came to it and said you can’t do that. You know there’s 291, 391 and it’s kind of hundred year old current Russian exhibition, the deconstructivist exhibition and I said “Yes we’re the next one”. And I said “Well I just did” and you know you give yourself that forum to do those crazy unconventional, unrealistic things but you try it on and you give it a go. I think we saw a lot of diversity, diversity would be the thing that would mark what we did. There was a lot of performance, performance art, there was a lot of music, there’s a lot of industrial music, there’s a lot of dance party music. There was shows that were very conservative, there were shows that were really contradictory, there were shows that were very minimal, there were shows that were just about very little and there were shows that were about a lot. And in the end I was working with the IMA to get a few shows in Brisbane from elsewhere, we got a show from an artist-run in Ireland and that was really good. So I think the biggest things about artist runs is it has to have a shelf life. To me you know it’s a five year plan, two year plan, one year plan you know Melbourne’s ARI No Vacancy was on at the same time, prospering from the same idea as I mentioned earlier that there’s a lot of vacant spaces. And I did a lot of those exhibitions. So there’s all these empty store fronts and for a period in a couple of years was there go for it, put it out there. And it was really exciting for me to present artist’s ideas and their curatorial thoughts as well as mine. That I was able to curate and bring artists together and propose you know why don’t we do this? Why don’t we do that? I think at the time email was just coming out and you know you could email things to people and that was radical. That was, that changed everything. And phones, you’d text things and so we were just starting to get into social media and a big part of our expense was invites, you’d have to print them, now you don’t. so those technological changes made a big difference. I think I have to say what I was doing was a little bit different in that we were putting ourselves right in the city of Brisbane, the CBD. The other artist runs that came along afterwards started to move to the Valley and New Farm and rightly so. You know what they were doing at Galerie Brutal was a big thing that ISN’T took up that building space, five or six floors? and of course you couldn’t do that now. And at our space in George Street we actually got a lot of city workers and city people to come in and which is radical for them to experience art. And so I was really interested in putting emerging contemporary art in a forum or a space that art audiences and non-art audiences could experience it. Because I’m very interested in talking to the converted yes but opening up art and making art accessible to everybody. And I think one of the greatest legacies for me of Space Plenitude is when I went to work at the IMA and left Space Plenitude and there was a couple of shows that were booked in before I loved on, I was working with Camp Fire group, Michael Eather and Marshal and Richard Bell. And mainly back then it was Michael Eather and Marshall Bell, Richard came along, Lowey Nelson came along a bit later. And they were having shows at the Spring Hill baths and doing things out of Michael’s house at Spring Hill. And I said Michael why don’t you have this (place)? And I said have the whole space, you can have the table, you can have the filing cabinet, you can have the stockroom you can even have the computer, you can have it all it’s all yours. And they went away and talked about it for a while and then they said yes. I don’t know how long they were there for, five years maybe? And they were very successful and then they moved into New Farm also and Newstead. 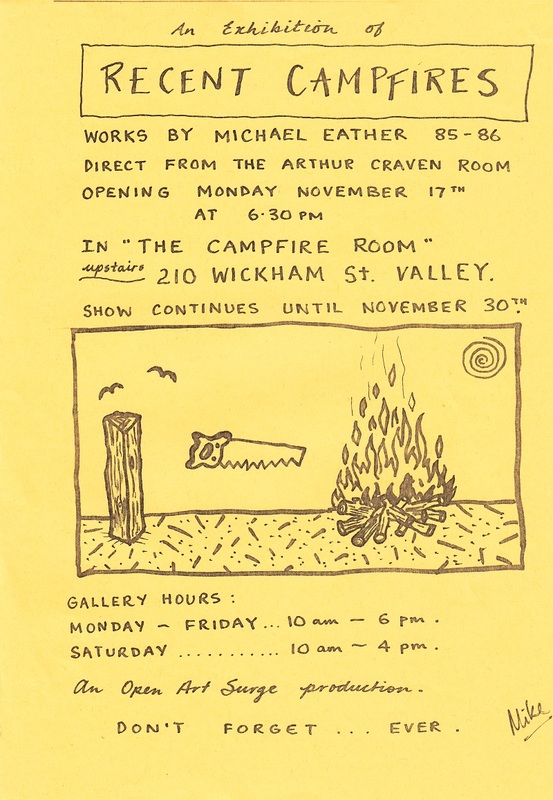 So I was really pleased that that forum which Michael Milburn started and Michael Ether was showing at Michael Milburn’s at the time too, moved out of Milburn, us, Camp Fire Group and it made for a really good strong continuity of arts practice in that space. And there’s a lot of really good Indigenous artists showing in that space. And so I used to walk past and think at that time, well that’s a great legacy. So for me we showed a lot of artists, we presented a lot of studio works, we created a platform for a lot of artists, artists had studios and then the legacy was that Camp Fire continued out of it. Thanks Steven that’s awesome and just so rich. Thank you. I’m happy to write anything else if you’ve got any other questions. R: I have heaps of photos bits of archives. Once again at my mum’s place. My mum has I don’t know boxes of the stuff. Wow I’m glad you mentioned that as you are talking about your Space Plenitude archive now, one thing I’d like to ask, I might do like ten questions and email you. I’ll type this up and send it to you, is what you actually did archivally speaking during the time you did all of these things. So yes you accumulated and it was analogue so we accumulate all these papers and things. But I wondered whether it was a conscious decision to archive on the go, on the run? As you were going along you know and this ephemera was important. Yeah, yeah and I don’t know if you remember artist Mark Davies? So he had a studio across the road from us, down and up. Upstairs on the fourth floor or something. I used to see them a lot. They were about fifty metres away and I remember Mark talking about it (archives and archiving) one day just in passing. Because he would archive and document all his work. And I thought well you should document your work and you should document this practice this gallery’s forum. So yeah I did I kept a lot of stuff, a lot of photos and there’s a lot of catalogues and you know really badly designed things. Great I’ll let you, thank you I’m just so grateful that I’ve been able to meet you. When I talked to Michael Ether a few years back now, reconnected with Michael he was talking about that time in the 1990s and earlier, in the 1980s we had a share space 210 Wickham Street? with Bell Tower studios and Michael did a thing there called the Camp Fire Room. Which was sort of an inception moment maybe. Alright thank you so much.